If you already own an iPad, you will know how powerful and incredible they really are. 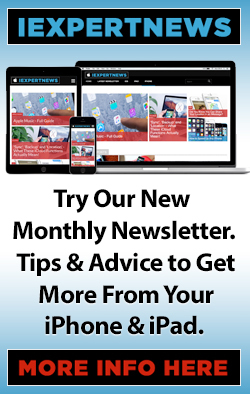 This post is designed to help you maximise your iPad experience by giving you our favourite tips and tricks. 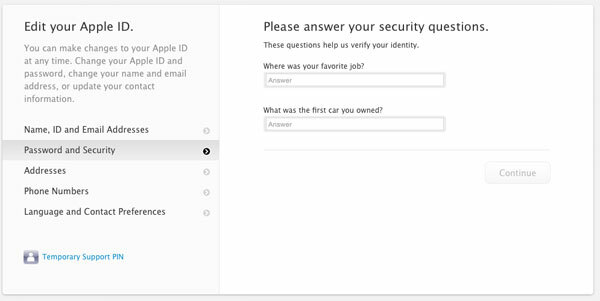 Security is becoming more and more of an issue with constant new stories of hacks and security breakdowns, so it’s highly recommended that you take advantage of Apple’s two-step verification process. This process verifies your identity using one of your devices before making any changes to your account. If you are familiar with internet banking, many providers will verify the set up of an online payment in a similar way to this, by sending a verification code to your phone. It’s the same principal with two-step verification. One of the down sides to this added security is that you are going to need to have your Apple ID and password, and either your verification code (from your second device) or your 14 character Recovery Key every time you want to make a secure purchase on iTunes or the App Store. It goes without saying that this could be a considerable pain for you if you just want to download a song for your run, and you haven’t got your other device with you. If you forget your password (your Apple ID password that is) Apple won’t be able to reset it for you. Please don’t forget your Apple ID or password, as it’s really really difficult to get things back. 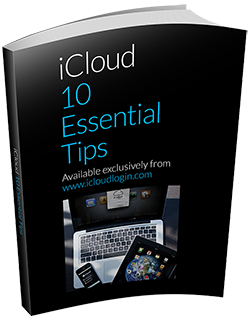 But we have a page dedicated to iCloud Password with more information on what you can do if you find yourself stuck here. Essentially if you do forget it, you’ll need your recovery key as well as your second device to be able to reset it. If you are worrying that you don’t know what your recovery key is…don’t worry about that yet. 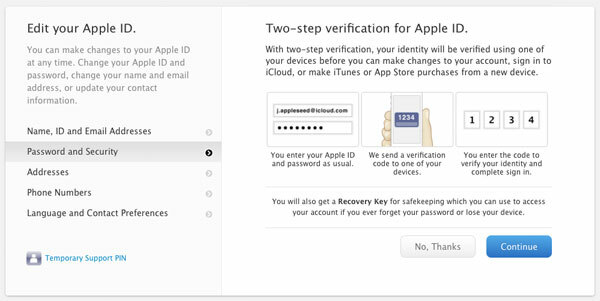 If you haven’t set up two-step verification, you won’t have one yet. But one thing to bear in mind is just how important that recovery key is…so when you get it, make sure you save it somewhere really really safe. Somewhere you will definitely remember where it is, and what it is for. We can’t emphasise that enough. For more information and a really good article about the importance of the recovery key, check out this Macworld article. After you enable two-step verification, you will only be able to verify any changes to your account, any App purchases, in-app purchases or movies and music downloads, by using the two-step verification process. To reiterate, that means you are going to have to have not only your device, but also your second device (with the verification code) and/or your recovery key. Now if you accept how annoying that might make things for you, but appreciate the need for security, then we recommend you read on to find out how to set it up. 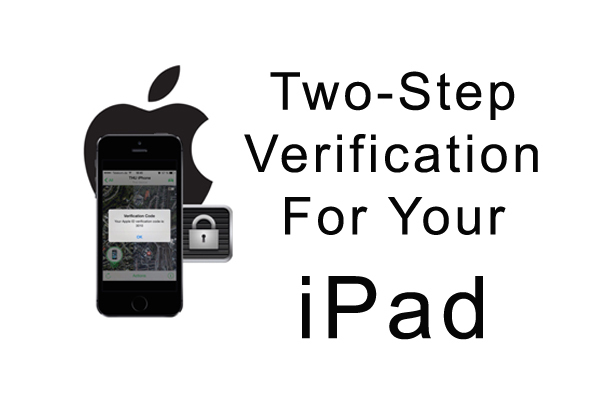 Implementing two-step verification for your Apple ID is simple on your iPad. Your Apple ID is the ID you use for everything relating to iCloud, you use it when you verify making purchases through the App store and in iTunes. You do need to have two Apple devices in order to do this, i.e an iPhone and an iPad. But the great thing about the two-step verification is that it means that even if someone has managed to hack your password, they would have to be able to verify your identity with another one of your devices, making it that bit more secure. In order to complete this process, you will need to make sure you register one of your other devices to later be used to verify your identity. Every time you use it, the code will be different, so make sure you wait for the new code each time (which will appear on the secondary device). 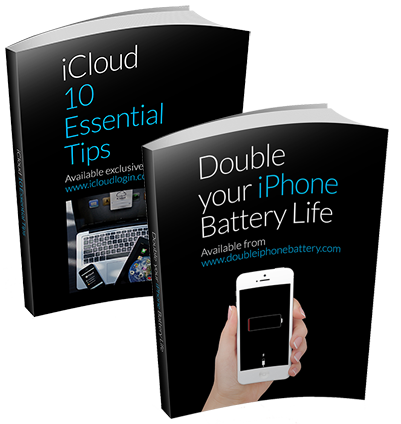 Once set-up is complete, you will need to have your second device with you every time you want to make an iTunes or App store purchase. 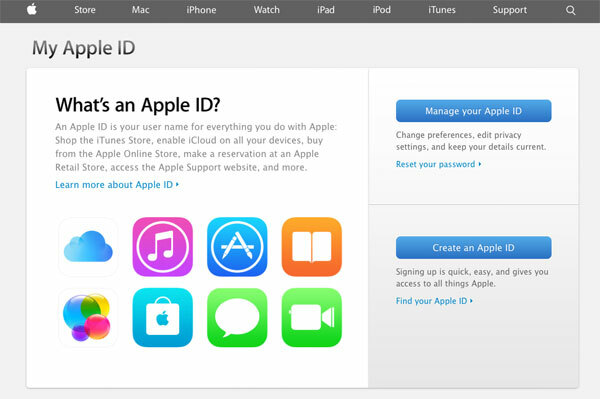 You will need your Apple ID as well as the code from this device to verify your identity.